All major cities have a central park, but only ours doubles as a farm. Ottawa’s Central Experimental Farm contains four-square-kilometres of fields, forests, gardens, and historic buildings, and is augmented by the adjoining Arboretum and the Fletcher Wildlife Garden. It acts as a nexus of visitors and locals — a place where pathways and trails act as appendages, not only connecting different parts of the city together but offering escape routes from the hustle and bustle. Catch that whiff of manure? It’s from the beating heart of this organism: a working farm — part of the Canada Agriculture and Food Museum — where horses, sheep, pigs, and other livestock are enjoyed by a regular flow of city-dwellers seeking reconnection with nature. Unique attractions include playful exhibits (“Get the scoop on poop”), a working kitchen that regularly dolls out honey-themed treats, a farm-themed indoor play area for tots, and the surrounding Ornamental Gardens. 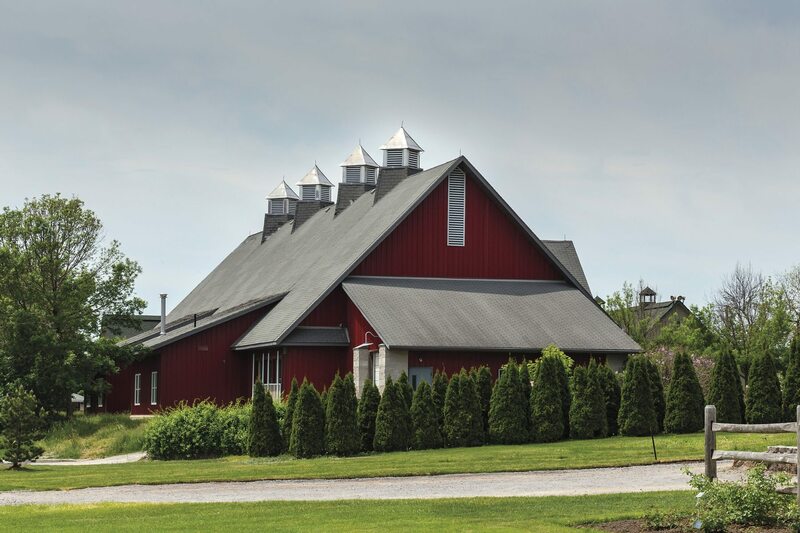 The Farm also houses The Canadian National Collection of Insects, Arachnids, and Nematodes — one of the five largest collections of its kind in the world! In ’87, an idea took hold to create a wildlife garden in the Farm, which was opened in 1990 and named after James Fletcher, the botanist who helped create the Arboretum in 1889. Today, the Fletcher Wildlife Garden is tended by the Ottawa Field-Naturalist Club. Their volunteers annually toil away to ensure that invasive species are kept at bay, while endangered monarch butterflies are given a helping hand. You might spy tree art created by unknown forest fairies, quiet resting spots, and even a bizarre-looking shelf-like structure containing assorted nooks and crannies — an insect hotel encouraging native pollinators to put down roots, make larvae, and keep the garden growing. Trails crisscross the garden’s 16 acres, encouraging a sense of wonder and exploration. You never know what critter you may stumble upon or what secrets the gardens hold — even military ones! At the entrance to the Garden there is, amidst overgrown ruins, a rock containing a plaque that indicates this spot was once a high frequency Naval Radio Station. During the Second World War, this station allowed the Royal Canadian Navy to track wireless transmissions from enemy U-boats. For a time, Ottawa was the centre of the universe — at least from Canada’s point of view. The Dominion Observatory, a Romanesque Revival building with a domed roof in the Central Experimental Farm, was thee place in Canada for anyone measuring time, geographical locations, and studies related to seismic, magnetic, and other related fields. From 1905 until 1970 the public could view the heavens through a 15-inch refracting telescope — the largest in Canada at the time. A more modern observatory in Victoria B.C., along with the advent of atomic clocks, eventually supplanted the need for the Dominion’s astrological observations, and its telescope was moved to the Canadian Science and Technology Museum, where it is today. Though far from Parliament Hill, the Arboretum is frequented by tourists and city-dwellers alike, who stroll through its collection of ponds, rivers, forested trails, and grassy knolls looking for a moment of naturalistic transcendence. 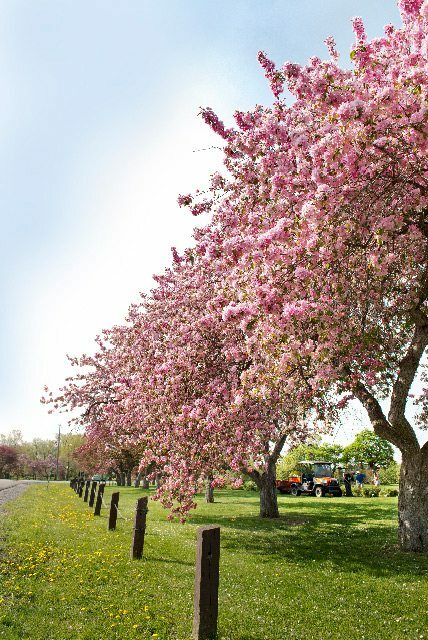 In spring, it’s one of the first places to be awash in colour — especially as its perfumed pink-and-white crabapple tree blossoms awaken our senses from winter’s doldrums. Since 1889, the Arboretum has been home to thousands of species of trees from around the world, including Japan, China, and Russia. A treeless ridge in the centre presides over the entire park, offering great views of the city, while its hillside makes for one of the best sledding spots in winter. If the Arboretum’s manicured geography isn’t wild enough, locate one of several marked paths and explore less tamed beauty at the Butterfly Meadow, the Amphibian Pond, and the Hedgerow — all part of the Fletcher Wildlife Garden.